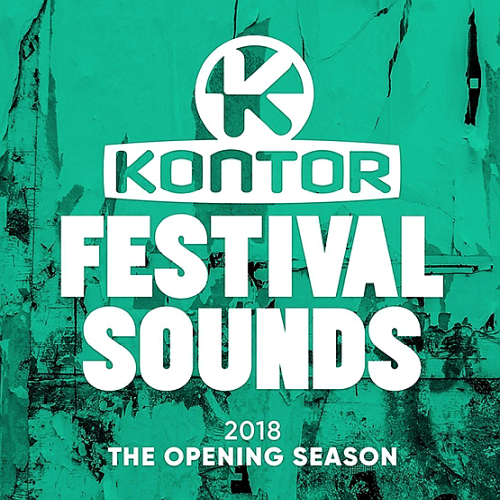 With the new Kontor Festival Sounds 2018 - the Opening Season and their great tracklist, the German dance music label is finally ringing in the festival season. On the new compilation, you will once again find plenty of top tracks to be heard in the coming weeks on all major Mainstages. These are of course the stages of festivals such as Tomorrowland, Nature One, Parookaville, Airbeat-One, World Club Dome, Defqon.1 and many more. Lets take a look at the tracklist here, so we find numerous festival smashers from Lost Frequencies, Armin van Buuren, Dimitri Vegas & Like Mike, Axwell / \ Ingrosso, Hardwell, Don Diablo, Bassjackers and many more. It will be a while until the release of the Kontor Festival Sounds 2018 - the Opening Season, because only from the 8th of June 2018 the good piece is ready for you in the trade. A name is missing in the tracklist of this compilation, because after the too early death of Avicii, his songs are guaranteed in this festival season. In addition to the tracklist and the cover, in the coming weeks we can look forward to a MiniMix again, which we will of course submit to you as soon as Kontor has published it.